Welcome To DMM’s 12/19/16 Music Monday! If one of your New Year’s resolutions for 2017 is to get more Bible study in, you’ve come on a good day! 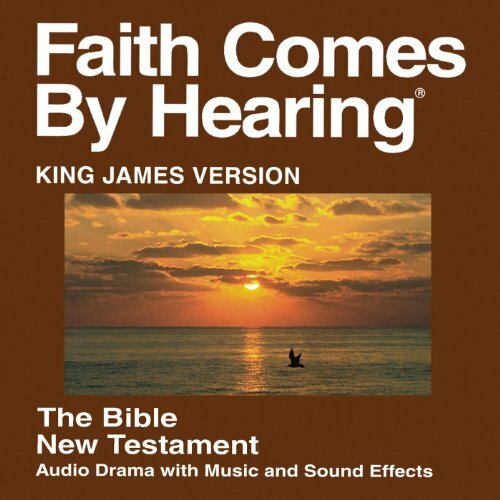 Today I’m sharing the FREE Faith Comes By Hearing’s audio Bibles: King James Version. These readings of the Bible are presented in “dramatized” editions, with music and sound effects, or in the case of the New Testament, a “non-dramatized”, straight reading as well. Either way, they’re perfect for use in a Bible study or Sunday school setting, for personal worship time, or simply for listening enjoyment in the same situations where any audiobook would be appropriate. This week I’m not going to warn that prices are subject to change, because Faith Comes By Hearing has dedicated itself to making dramatized audio versions of the Bible available free of charge to anyone who wants them. This Bible will remain free for as long as it’s listed. The three albums, the King James Old Testament Dramatized, and King James New Testament Dramatized / Non-Dramatized, can be downloaded in their entirety or one chapter at a time, as you prefer. Please note: if you choose to download an entire ‘album’, the file will be very large and may take a while to download. It’s probably best to tackle that job at home, rather than on a mobile device. Note that you can also “buy” an entire album, then download or stream the individual chapters of interest from the Cloud as you need them, too. Now you’re all set to bring Bible study to the car, gym, lunch break, or anywhere else life takes you! If you’re looking to make that shiny new Echo Dot portable, the JBL Charge 3 Portable Bluetooth Speaker (UK visitors – click here) is a great way to go. 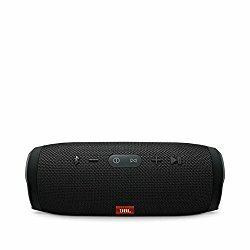 From JBL, a top name in premium portable audio, this speaker offers Bluetooth connectivity as well as a USB power port: plug your Dot into the power port, then use the Dot’s Bluetooth connectivity to pipe your audio back through the JBL’s speaker. Currently (as of 12/18/16) rated 4.5/5 stars across over 600 reviews and currently priced at $134.95 (four other colors available).